I do have one resolution! More a challenge! I am going to continue the knitted square quilt that I started in 2006! I have various bright coloured knitted plain & patterned squares in a box under my bed! Although, I don’t know if I yet have enough to finish the blanket so I may have to knit some more squares!! I started knitting squares (not for the blanket, knittiing in general) when I was 8 because a lady on my road used to babysit me and she taught me the basics of knitting, we used to knit squares to get enough for a blanket and she would sew it up! We even did it at the junior school when I was 9 and a few other ladies and pupils of the school used to come to knitting club on a lunchtime and knit squares and the blanket would go to charity! Unfortunately, I wasn’t there for the time they had a photo taken with it when it was completed as it was the time when I was in hospital having my 1st cochlear implant! Years later, I made my own which now is only good for a rag now!! Full of holes after much use! So I began knitting more square with also patterned squares which I got out of knitting magazines! It was so tricky to do some of the patterned ones as they are hard to do and it took me a few tries but I got there in the end and it was an achievement when I saw the squares at the end! The box under my bed will surely come out when I’m bored at home and something to do! I’ve always enjoyed making things like that! Just hope this one stays together!! Going to cinema with mates for my 23rd birthday to see Mamma Mia! It was sooooooooooo good! Flirting with the guys now and again! Going to Middlesbrough to see the family for Christmas! 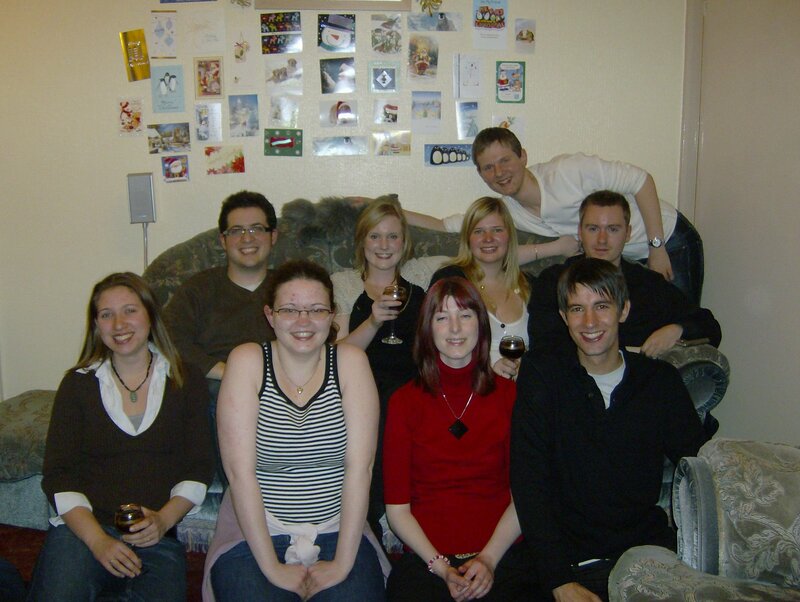 The annual Mates group get together on Chrsitmas eve! Having 2 infections in my PEG ow! Also being in pain too much that I cant bear to move! I hope everyone else has a HAPPY NEW YEAR & it brings you everything you could hope for! We all spent an hour chatting about random things before finally going to bed at 3am!I love times like that, when we just all sit there talking about odd and random things, never mind if we are drunk or sober, we were just having a good time chatting without the TV on & talking about nothing and anything! It’s safe to say I didn’t sleep much! I was too excited about the day ahead and the memories of a great night I just had! Christmas day started for me at 10am, we went to open our presents and see what we all got! I was pretty much happy with what I had got! We went to the local pub at 12 for our traditional christmas drink and stayed til the pub closed at 3pm. The family came home to crackers and Christmas Dinner and just about the whole family is knackered and asleep so I settled in to classic Christmas TV and chocolates! So Christmas Eve and Day has totally wiped me out now! So Glad I can relax for Boxing Day & have a long lie in!! Hope everyone’s Christmas has been as good as mine! Showaddywaddy – Hey Mr Christmas! Today reminded me something about myself that all of my family notice which is my awareness! I have none!!!! ha! I can be in a world of my own when I’m out & about… My mum always has to stop me at roads sometimes as I’m not entirely aware of where I’m going!! If I;m on my own, I’m more aware of the world around me and am careful on the roads! I listen very carefully in the distance if there’s any cars coming down the road because I can usually hear them before I see them. Also I was in shops, and my family always had to tell me to move to let people past!Not because I’m being ignorant, but as I can’t really see out of the side of my eyes because of the mitochondrial condition, i can’t really move my eyes that well… so I only see what’s in front of me rather than what’s around me! ike today, sometimes I get friends texting me saying they saw me in town and maybe even waved at me but I never saw them!! So I feel bad that I never saw them and said hi to them!! & I have to text them later and apoligize to that friend!! 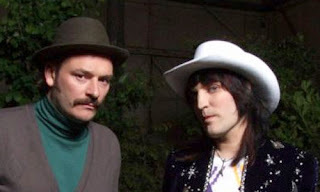 I am such a fan of The Mighty Boosh starring Noel Fielding and Julian Barratt! I just can’t decide which episode or character I love because it’s ALL fantastic!!! I love their “crimping” songs! 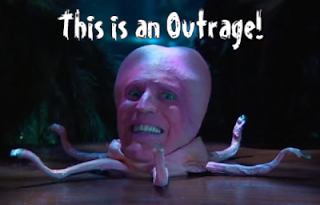 I have to say that Vince (Noel Fielding) & Tony Harrision (Noel Feilding) are my fave characters! They are just sooooooooo funny! 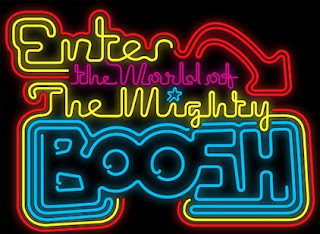 I hope I’ll maybe able to go see one of the Live Mighty Boosh show one day!! 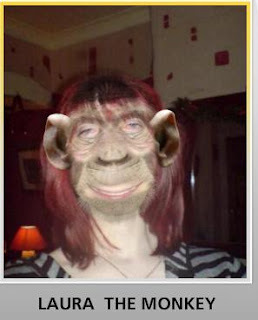 Posted by loz121 in ocd. So when ever I’m upset, I get angry, I slam doors, hit the walls and I lock myself in my room and lie on my bed and think about stuff and have a cry and get it out of my system and it’s gone the next day til the next time… It’s just a neverending circle. Sometimes I’d want to be a totally different person but I know if I hadn’t gone through the stuff I have then I wouldn’t the person I am today so I dont and mostly I like my personality and think if people don’t like me the way I am, they aren’t worth knowing but I cant do that with my family, they are always there, sometimes it’s a good thing and sometimes it’s a bad thing but I wouldn’t be without them or my friends. All I can say is the OCD is taking over my head at the moment and I can be washing my hands every half hour which the sound of running water is making my mum and dad go mad and I’m there at the sink UNBELIEVABLY trying not to wash my hands and each time I let myself down and that what upsets me because I don’t want to be there. I don’t want to be thinking of my mum and I can’t hug her because she’s touched the bloody bin! The other night she told me I will end up dragging me back to the OCD doc again if I can’t get over it. I hate going there, my next appointment to see him is February which probably means the congentive therapy may be looming and I’m not looking forward to it but I know I have to do it otherwise I won’t get my life back and it’s always going to be stopping from doing what & where I want to go.